When my daughter was 3, we asked her what she wanted for dinner… her reply (read it like a 3 year old) was “Bacon… Just Bacon… Yots and Yots of Bacon.” It has been a running joke in our house ever since. We only have one non-bacon lover in our home… I’m still trying to figure that one out! Thank you so much. This is so cute. My daughter adores bacon too. 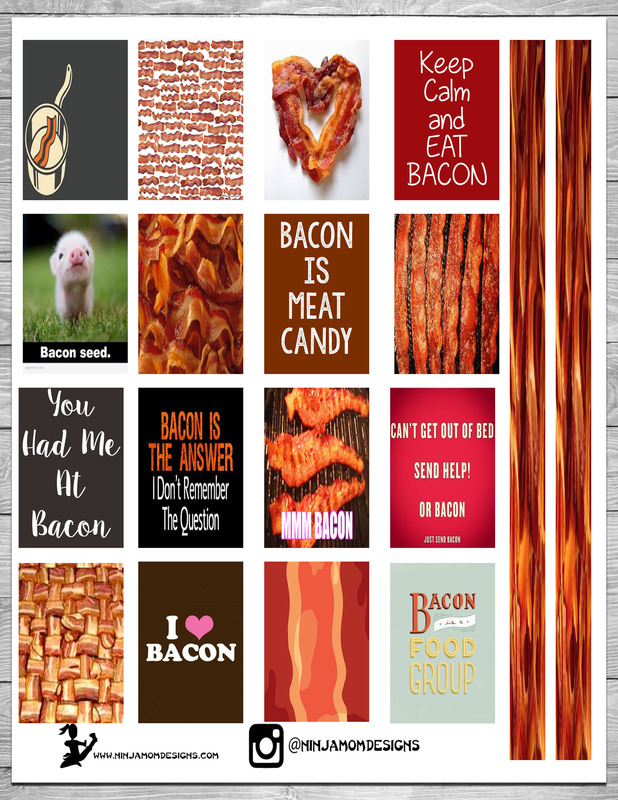 But she is 16 now and now she insists on replacing her beloved bacon sometimes with turkey bacon….Yuck….How are things going with your daughters treatments. I am Praying for you and your family . Thank you for praying. We are doing ok… it’s definitely a stressful time for all of us, but we are trying to find joy in the midst. 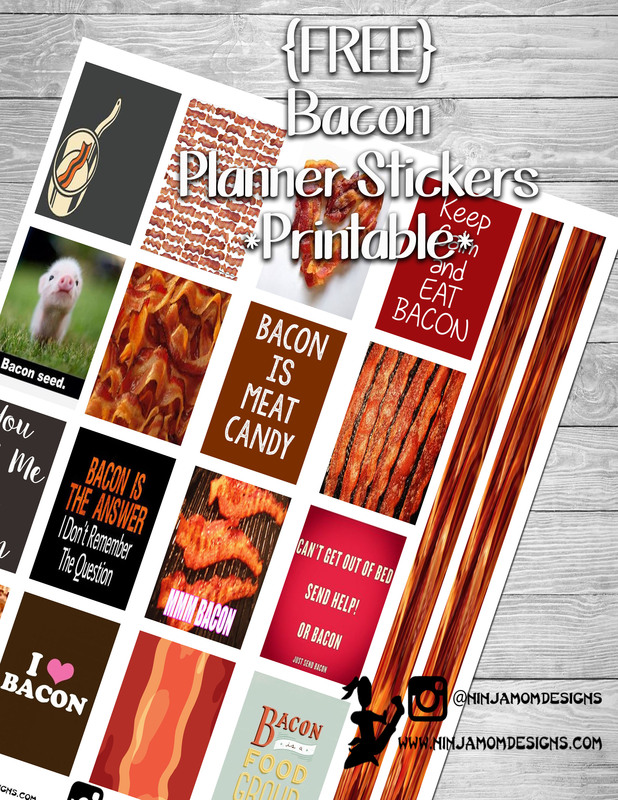 Love this theme because I love bacon too! I’d like to make one suggestion; can you make the boxes closer together because the boxes/washi strips on the outer edges get cut off during printing. Thanks so much. I have to tell you that these stickers made me laugh! It was so very needed right at this moment. These are perfect and I will be saving them for my son’s 10th birthday week. He is a complete bacon addict. Last time we were on vacation he managed to eat bacon at every single meal for four days straight before I realized it. These will be perfect for his special day. I’ve been thinking of you and your family! Hopefully things will turn around soon!